We all know that President Obama won re-election last night. But why did he win? My colleague Jon Cohn makes a persuasive broad-brush argument, but when I try to identify, from exit poll data, the specific Obama policies that voters ratified, the exercise proves weirdly difficult. Sixty percent of voters said the economy was the most important issue, followed by health care (17 percent), the deficit (15 percent), and foreign policy (four percent). So, OK, this election was about the economy. But 77 percent of voters said the economy was in bad shape (it is! ), and by a hair voters trusted Romney more than Obama to handle it (49-48). Among the 77 percent of voters who believed the economy was in bad shape, voters trusted Romney on this issue more than Obama by a wider margin (51-47 percent). The most important economic issue, voters said, was unemployment (38 percent), followed by rising prices (37 percent), taxes (14 percent) and the housing market (8 percent). Those most concerned about unemployment went for Romney, and those most concerned about rising prices went for Obama. Never mind that it’s Obama whose constituency was more likely to compel him to address unemployment, and it’s Romney whose constituency was more likely to compel him to address inflation (which at the moment doesn’t exist, so why is it virtually tied with unemployment as the preeminent economic concern?). It was probably to Obama's advantage that taxes ranked so low on the list of economic problems. 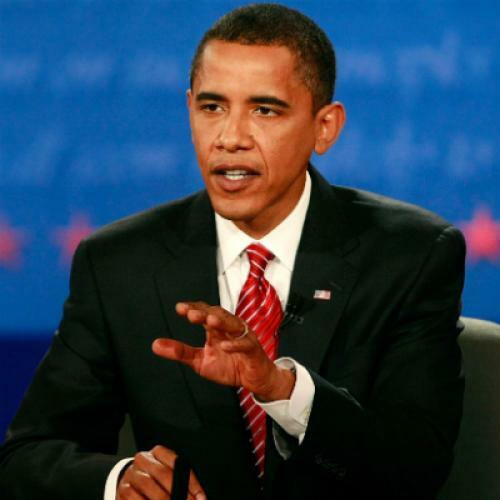 Sixty percent of voters said taxes should be increased, which definitely benefited Obama at Romney’s expense. An impressive 55 percent of voters said the economy favors the wealthy, which looks to me like an upturned middle finger aimed at Romney. As I’ve written before, GOP promises to cut taxes lost their magic in 2012. But a 63 percent majority of voters said they opposed raising taxes to lower the deficit. The lesson here may be that voters, as opposed to rich people and Washington big shots, don’t think the deficit is an urgent problem. (Remember, only 15 percent of voters cited it as the most important issue.) On the other hand, a 51 percent majority said they wanted a smaller government that provided fewer services, compared to 43 percent who said they wanted a larger government that provided more services. So even if voters weren’t hopped up about the deficit, they didn't like big government (at least in the abstract). The immigration issue clearly helped Obama, in large part because his share of the Latino vote this year (69 percent) was bigger than in 2008. Two thirds of voters said they favored giving undocumented immigrants the opportunity to apply for legal status, and 61 percent of these two-thirds favored Obama. Still, voters never ranked immigration as one of the most important issues. Voters didn’t rank abortion as one of the most important issues either. But about 60 percent of voters said abortion should be legal in most or all cases, and Obama won these votes by a much bigger margin than Democrats have in past presidential elections. I would urge the president not to take any of these exit-poll findings too much to heart. For one thing, the polls were conducted only in 31 of 50 states, limiting their relevance to the electorate as a whole. And anyway, you can drive yourself insane trying to resolve the logical inconsistencies in what the public believes about how the government should be run. What matters is that in spite of all these contradictions, a majority of voters cast their ballot for Obama. They think he's doing a good job, and they want him to continue doing it. He should do so as he sees fit.